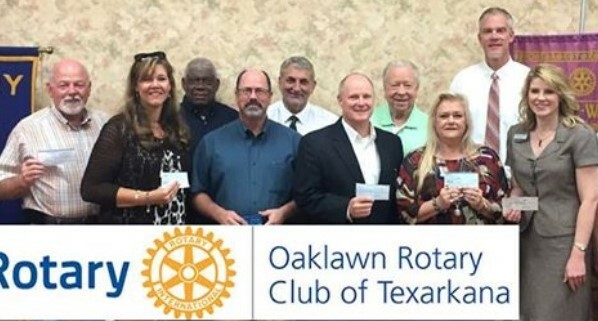 Oaklawn Rotary Club " A Club of Action"
Texarkana Oaklawn Rotary Club's Rotarians support the Texarkana Harvest Regional Food Bank. Did you know that 1 in 6 people struggle with hunger in the Texarkana area and 1 in 4 of those people are children? 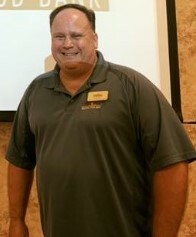 The Club's guest speaker, Doug Dietz spoke to the members about the role Harvest Texarkana Regional Food Bank plays across the communities in our regions. Harvest Regional Food Bank has been in Texarkana since 1989. Each year they help distribute approximately 3.2 million pounds of food through various programs. One of those programs is the Backpack Program.